Nothing matches the natural elegance of Vermont slate colors, blends, and textures. 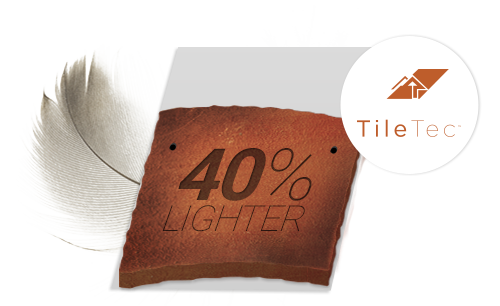 Genuine Roof Systems enable up to 40% less weight on all roofs with SlateTec & TileTec. Easily installed, lighter weight, and cost effective beauty for your home, business, or public institution. Our warranty gives you additional peace of mind that your most treasured asset is protected for a lifetime. We offer 1-to-1 education on Genuine Roof Systems, so you can make an informed decision. UNDER 6 LBS. / SQ. FT. UNDER 9 LBS. / SQ. 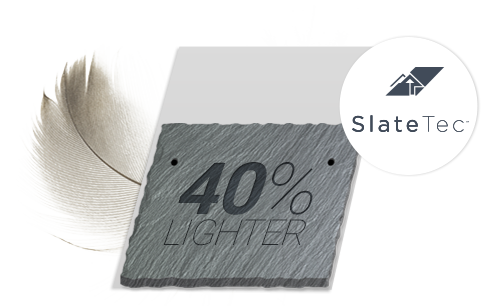 FT.
SlateTec Available on All Homes with our weight savings! Slate Roof Replacement. Natural Elegance. Genuine Materials. Appreciated for its inherent refinement, genuine slate tiles or handcrafted clay tile roofs have been a staple of sophistication and style in Europe and around the world for hundreds of years. Your home, business, or public institution is a reflection of your values and taste. As one of your most valuable assets, it is a statement of distinction and you want it to look its best. However, when you consider Replacing a Slate Roof as well as Slate Roof Repair and Slate Roof Installation, the costs can be significant. That is until now! 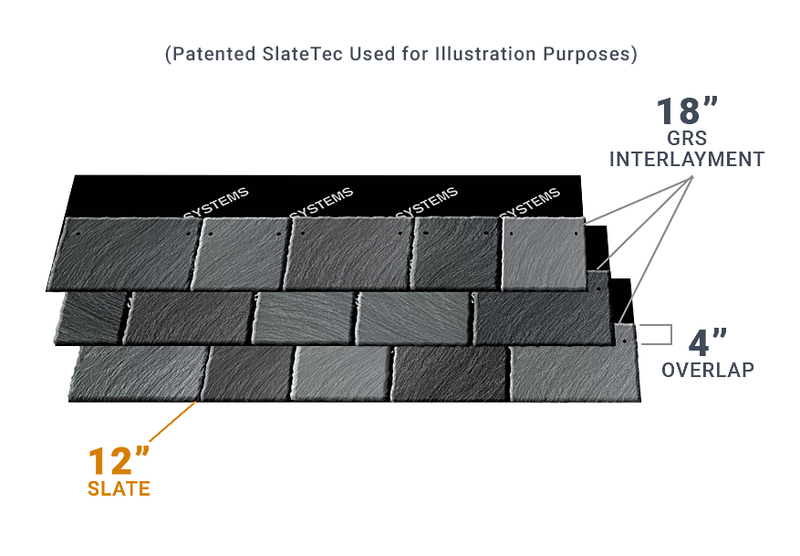 Watch Part 1 of our eight part video series on the SlateTec installation process. This video will review the tools and materials you will need to successfully install a SlateTec roof system; the TileTec process is similar. Click here to watch the other videos in the series. 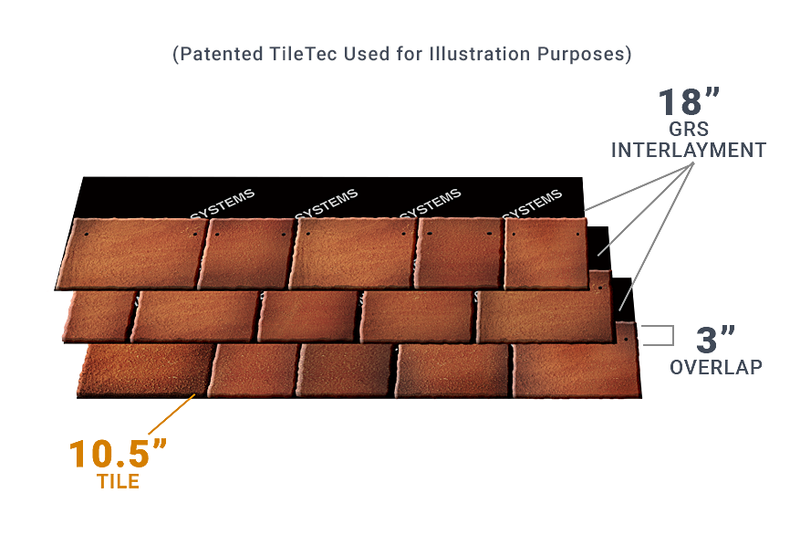 Whether you are replacing an existing roof or installing a new one, you should consider the benefits of real slate or handcrafted clay tile vs. synthetics or cedar shake. Add a touch of elegance and prestige to your home or institution with the finest genuine slate or handcrafted clay tile roofs. Finally, a roof that expresses your distinctive style. Guaranteed by our patented lighter weight system.